When most Americans think about bees, they think about the honeybee — a European immigrant. But almost all of the 4,000 species of bees native to North America are ignored by Americans. Some of them are pretty quirky. Take the blue Calamintha bee, which collects pollen on its head, or the rusty patched bumblebee, which has figured out how to bite into the back of a flower when it wants to claim a tasty nectar treat without helping the flower reproduce. 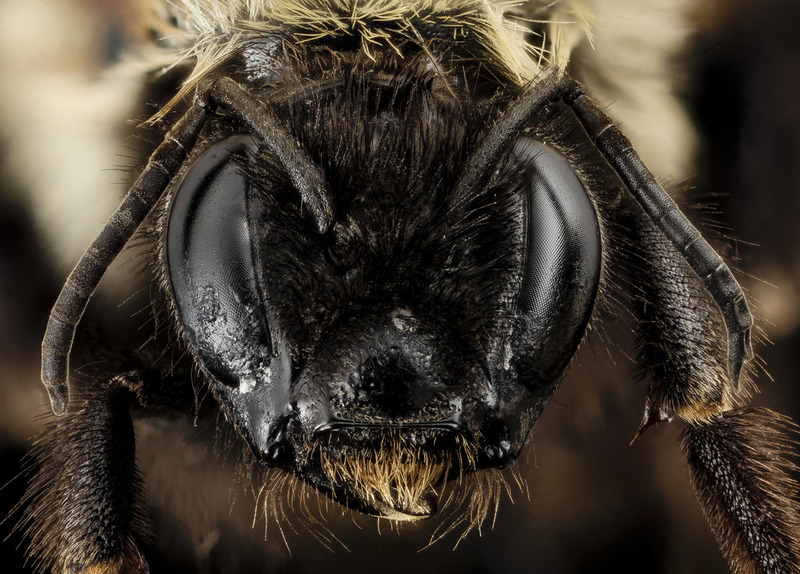 But advocacy groups fear both of these bees may be on the brink of extinction — and now, the U.S. government is considering protecting both bees as endangered species. “When you get down to plants and insects a lot of people will say ‘who cares?’” and be more concerned about mammals and other charismatic species, said Jay Tutchton, a senior staff attorney at Defenders of Wildlife, a conservation group. He thinks that’s shortsighted, since pollination of commercial crops by native bees is worth as much as $3 billion to the American economy. But scientists and bee-lovers fear these insects may be in trouble thanks to factors like habitat loss, pesticides and disease. In response to separate petitions filed by the Xerces Society, which advocates for insects, and Defenders of Wildlife, the U.S. Fish and Wildlife Service (USFWS) has agreed to evaluate two species for protection under the Endangered Species Act. Scientists think the rusty patched bumblebee, with a population that has fallen by 95 percent compared to historical records, is catching diseases from commercially raised bumblebees. The blue Calamintha bee, which scientists estimate has lost 70 to 90 percent of its historical population, lives in only four disconnected places in Florida, where it faces habitat loss to real estate development and pesticide spillover from nearby citrus farms. The agency will spend the next year reviewing data about the bees’ genetics, population trends and particularly important places in its habitat, studying the threats to both bees and considering whether to get involved. Gathering population data is easier for some species than others. There are fewer than fifty bumblebee species in the U.S., so scientists have a pretty good sense of how they’re doing. “They’re large, they’re fuzzy, they’re out for most of the summertime,” said Sheila Colla, a bumblebee expert at the University of York in Canada. For many native bees that aren’t bumblebees, scientists don’t know as much about population crashes because they don’t have enough eyes on the ground — there aren’t enough scientists, and citizen scientists are more likely to be focusing on other species, like birds. That’s part of why, to date, no bee species has ever passed all the hurdles to join the endangered species list, since the USFWS requires data showing population declines. In September, the agency did propose protection for seven species of Hawaiian yellow-faced bees, but that decision is still under review until next fall. It takes years to get a species onto the endangered species list. The process begins when a citizen files a petition laying out evidence the species is threatened enough to merit protection. The petition has to clear two main hurdles, a 90-day initial review and a 12-month detailed review, which are like a grand jury hearing and a trial. The rusty patched bumblebee and the blue Calamintha bee have just begun their 12-month reviews. Ultimately, USFWS can propose to protect the species, decide the species is not threatened, or acknowledge it is threatened but claim the agency is too busy working on higher-priority cases. But USFWS has to deal with a variety of challenges when it comes to their role of overseeing endangered species, including their own funding, political pressure, data shortages for less charismatic species and the sheer number of species in need. Those challenges show in the time it takes to address petitions — the Xerces Society had to sue the agency to get their 90-day review findings within three years of the petition being filed. “There are a lot of animals that are endangered right now,” said Sarina Jepsen of the Xerces Society, who worked on the petition. “I don’t think Fish and Wildlife is adequately funded to deal with the amount of [U.S.] biodiversity loss,” she added. The USFWS process means the endangered species list is too small and too focused on “political softballs” that are easier to approve, rather than aligning well with scientists’ concerns, says Tutchton at Defenders of Wildlife. He believes that makes the list a weak tool for conservation — he would rather the agency adopt a larger, more inclusive species list from a scientific organization and focus their energies on how to protect them.